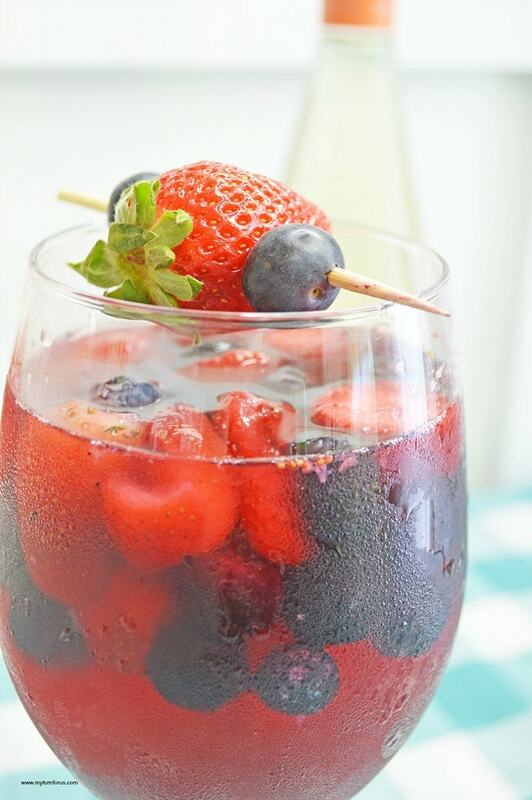 This White Wine Sangria with Berries is one of our favorite summer cocktails. It’s fresh and clean and filled with those summer blueberries and strawberries which makes it irresistible. When I was younger we would drink wine spritzers. It was an easy and lite beverage without the heavier concentrates of a glass of wine. But I think we also drank them because we could use cheap wine and we were not experienced wine drinkers so we needed to dilute our wine and add an extra sweetness to the wine. A sangria is different from a wine spritzer is that fruit is usually added to a sangria. We usually also add either rum or brandy to our pitcher of sangria. 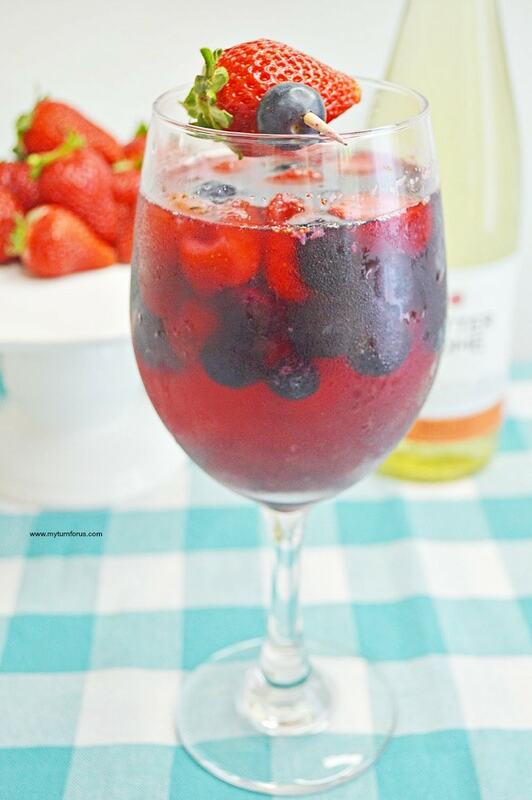 This White Wine Sangria gets its gorgeous color from the berries. We use a combination of frozen berries and a few fresh berries for the garnish. You could leave off the garnish but why would you? 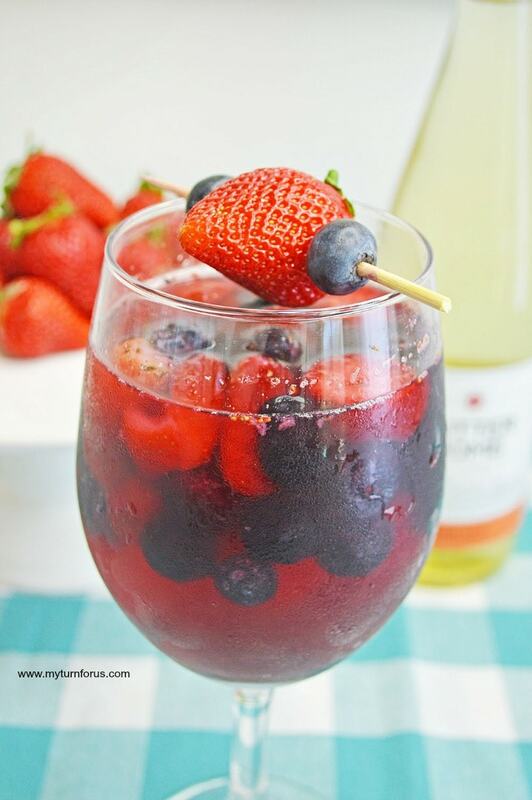 A simple little skewer with fresh berries makes this summer cocktail so pretty and festive. Doesn’t this look so refreshing? 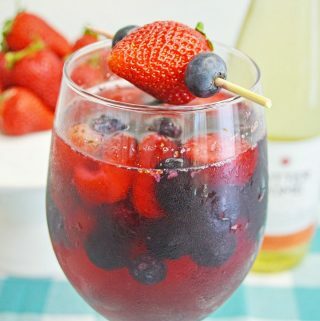 This White Wine Sangria with frozen berries with its fruity goodness and the gorgeous color is perfect for all those summer picnics or get-to-gathers. Amazon makes a really cute set of wine tumblers with sippy lids that are great for outdoor parties. No more worrying about breaking a nice glass or any pests getting into your drink. We made this white wine sangria extra special by adding frozen blueberries and frozen strawberries to each sangria glass. 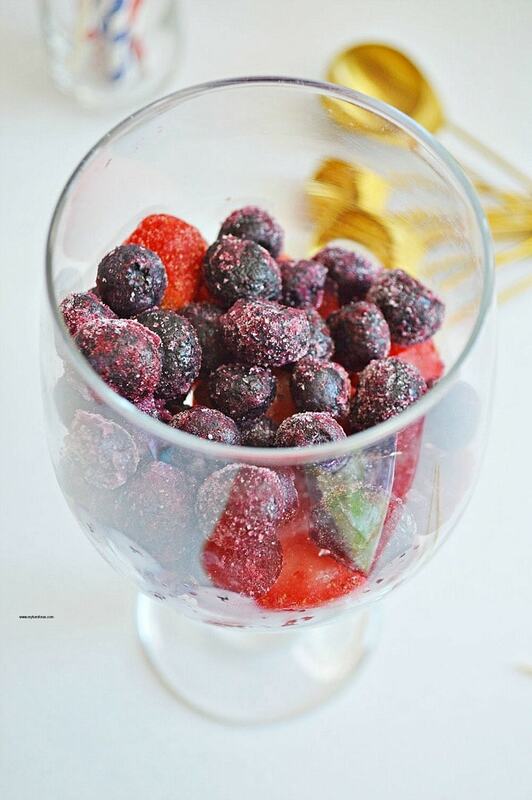 After mixing the sangria in a clear glass pitcher or wine decanter, pour over the frozen berries in the glasses. It’s nice to have a Sangria Set with a pitcher and matching glasses to show off this gorgeous beverage. 35 Fun in the Sun Summer Cocktails. In a large pitcher, combine the wine, lemon-lime soda, and rum. In each glass, add 1/2 heaping cup of frozen strawberries, followed by 1/2 heaping cup frozen sliced strawberries. Pour wine/rum mixture over frozen berries.